As more Americans make bicycling a part of their lives, the enjoyment can be marred by the inherent danger to the rider due to the bicyclist’s vulnerability on the road. On a bicycle, being hit by a motor vehicle is often serious and may even result in injuries severe enough to cause death. There are myriad ways that a person can sustain damage during a bike accident. The physical damage can be as minor as cuts and scrapes or as serious as broken bones and head injuries among others. These painful injuries can be just the beginning of the ways in which the bicyclist may suffer. Medical expenses are often financially debilitating, and post-hospital treatment/recovery takes its toll in the form of losing the ability to earn a wage for an extended time period. Injuries sustained earlier in life may see further injury aggravation that intensifies the recovery process. In these cases, compensatory support that can be obtained by skilled Clearwater bicycle accident attorneys is not only deserved, but is vital to getting your life back on track. As bicycle accident lawyers in Clearwater, we are committed to recovering damages and helping our clients who are victims of bicycle accidents. The outcome of your claim against the negligent party can depend upon several factors such as the availability of a sidewalk or bike path versus riding on the street, local ordinances, safety equipment worn, and visibility. While the law makes allowances for recovery of damages from a driver that is deemed negligent or driving recklessly, not everyone that deems themselves a bicycle accident lawyer in Clearwater has the experience to successfully represent the victim. Gathering and documenting all of the evidentiary materials that relate to the accident is among the most important priorities for the Roman & Roman team. This is just one of many processes that we will undertake to ensure the best results in your case. We handle the law and insurer while you work on getting better. The victim of a bicycle accident and their family members must rapidly assist in accomplishing several important goals so that all of the victim’s rights can be assured. Visit a doctor who is experienced with handling injuries obtained during a bicycle accident so that you can get on the pathway to the quickest recovery, we can help. We’ll Assist You With Your Legal Rights. 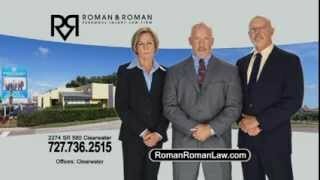 If you put your trust in one of the expert attorneys at Roman & Roman, we will review your rights in detail – trust your attorney; don’t trust the insurance adjuster. Our bicycle accident attorneys in Clearwater will need to photograph or video your injuries as well as damages to the bike at the earliest possible time so that we can capture the valuable evidence needed. This is necessary before your bicycle is repaired or thrown away. We may also take pictures of the scene were the incident took place to be sure that we have visual evidence of traffic signs and signals as well as any physical evidence left by the vehicle. The attorneys on our team have developed expert backgrounds as bicycle accident attorneys in Clearwater through successful work on a number of bicycle accident cases. 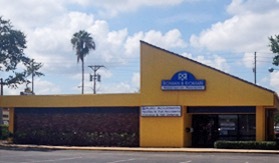 We’ll assist with the hassle of filing an insurance claim, while being sure to keep your best interests in mind. We’ll evaluate your legal situation, research the accident, obtain evidence, conduct witness interviews, handle claimant negotiations, and if necessary, take the case to court if the other party’s insurance provider does not fully cooperate. 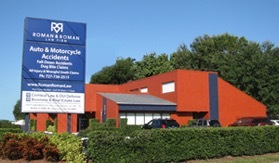 Please know that there is no initial consultation cost – come to speak to one of the experts at Roman & Roman today. If we are unable to recover money damages there is no fee incurred by you. Contact us today via phone or our website to schedule a free consultation. This preliminary consult will be with one of our experienced personal injury attorneys rather than a staff member in a support role at the firm. 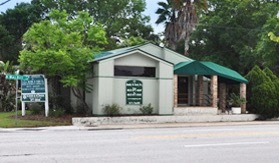 We also handle criminal law and business and real estate law. We await your call.